Tired of tedious and repetitive marketing tasks? Learn how to save more time (and money) as we take a look at how you can automate your emails and other marketing activities. Uncover the secrets behind the Australian Open’s transformation into a premier sports spectacle, and apply these lessons to your event marketing campaigns. The Callbox team recently published a free eBook that provides an in-depth analysis of how rapid digital transformation is reshaping marketing in nine (9) key B2B industries. Check out the 5 types of content to boost your sales outreach and find out how to use them effectively for a more rewarding outbound sales campaign. Quiz: Which Music Genre Matches Your Selling Style? If you could put together the perfect soundtrack to your sales career, what would it sound like? This short quiz lets you discover the right music genres for your particular sales personality. Gain marketing traction for your startup by utilizing buyer personas and ideal customer profiles to target and engage the right people with the best revenue potential. Here’s a roundup of the top 5 digital marketing news and events this past quarter. Learn how to build an ideal marketing tech stack that will help your business thrive in the technology-driven landscape of the 21st century. In this article, we look at some tips on how to create a winning value proposition that will help you land more clients and close large deals. 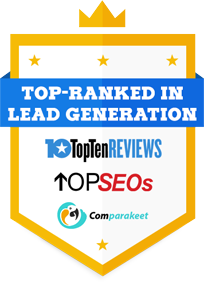 A lapsed lead is one of the reasons that may contribute to the failure of your lead generation efforts. How you manage these lapsed leads would either make or break a campaign’s results. Practice proper and efficient marketing to sales leads handoff and start improving your conversions as we look at some best practices in lead management and qualification. Start connecting and engaging with the c-suite as we take a look at some key pointers on how to improve your executive email sales pitch.